Online courses allow you to register and get immediate access to meaningful training right away. Watch when you like, and view again when you need to. You'll get the links in your confirmation email after you register. Webinars are scheduled training events that allow you to learn from presenters in real time and ask questions as the webinar happens. They are also recorded and can be played back at a later time, so watch for a link to the recording once it's aired. Most webinars are 45 minutes to one hour long. Some of our webinar series highlight a topic over multiple sessions. The nature preschool movement is in full swing because of people like you! If you're thinking about starting up your own nature preschool or forest kindergarten, this course offers specific information and tips to help you along the journey. Module one covers planning basics; module two highlights strategies for marketing and community partnerships; and module three provides approaches to support children, families, and staff. Bonus documents include a sample business plan. Professor Caroline Baillie is a trained forest school leader (UK) and STEM educator with diverse multidisciplinary background. She shares her time between academic work at the University of San Diego, CA and work with ‘Waste for Life’, which she co-founded with partner Eric Feinblatt. Caroline formerly ran an innovative ‘bush school’ in Australia with Noongar children using forest school pedagogy (see Bush school talk) and continues her work with Indigneous communities through her collaborative work with USD students and the Viejas Band of Kumeyaay Nation (see Kumeyaay). During 2018, Caroline also facilitated the development of forest school at Sullivan West Elementary school in Sullivan County NY, which focuses on supporting math learners in the outdoor classroom. Waste for Life's Standing People Together program is currently launching its ‘Forest Exploratorium’ which provides forest school sessions for K-6 age children in rural Sullivan County, NY. Learn more about programs and training with Waste for Life here. How do we build and expand nature-based programs and community that supports inclusive practices? How do we advocate for children who struggle with challenging behaviors to ensure support for every child? Explore solutions to some of the toughest questions facing nature-based educators today with Lisa Burris, director of Turn Back Time in Paxton, MA. ABOUT THE PRESENTER: LISA BURRIS Lisa Burris is the creator, founder and Executive Director of Turn Back Time a nonprofit working to improve the lives of ALL children through nature exploration, farm education and play. Lisa has a degree in Human Services, a certificate of completion from Antioch University for Nature Based Education and Forest Kindergarten and is a trained foster parent with the state of Massachusetts. She has five children and is the adoptive mother of three children with special needs. Discover some of the challenges of taking young children with diversabilities outside and gain some practical tips and strategies to make these experiences successful for everyone involved. This webinar is presented primarily through a Forest School lens, but some alternative approaches to getting children with diversabilities outside will also be discussed. We will address the needs of Deaf/Hard of Hearing, ESL, developmentally delayed, and physically challenged children, as well as children with autism, children with challenging behavior and children with health concerns in this webinar. If you have thought about offering special programming to children with diversabilities within your existing Forest or Nature School program, or already have a few children with Special Rights enrolled and need help supporting them, this webinar is for you! Sally has worked for over 30 years with young children, most of whom have diversabilities. 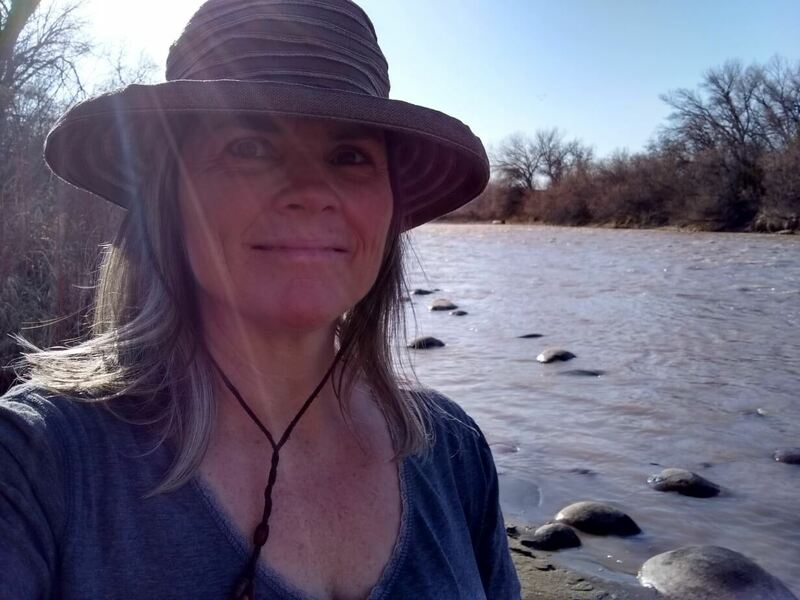 She is the Site Principal at the New Mexico School for the Deaf, Albuquerque Preschool; Forest Day Learning (FDL) Founder & Lead Teacher, NMSD Santa Fe, Albuquerque & Farmington Preschools; and Founder, Director & Lead Teacher of Sol Forest School, Tijeras, New Mexico. For decades, she has utilized the power of the natural world as a tool in supporting the development of young, diverse learners through the implementation of natural loose parts play, a focus on learning through the seasons, school yard "nature-scaping", school gardening, place-based learning, and forest school programming. Sally believes that all children have a right to learn in a nature-connected way, and that it is vital to their holistic development, as well as to the future of our shared Mother Earth. This self-guided course offers a comprehensive look at essential skill development for young children as they prepare to enter more formal learning environments like public school. We examine the many ways that skill development abounds across the developmental domains in nature-based early childhood programs. Four modules identify and explore how we can nurture physical, social, emotional, and cognitive development -- including a lasting love of nature. Each module provides supplemental activities for educators and caregivers and ways to support family engagement. Course includes 6 hour training certificate. 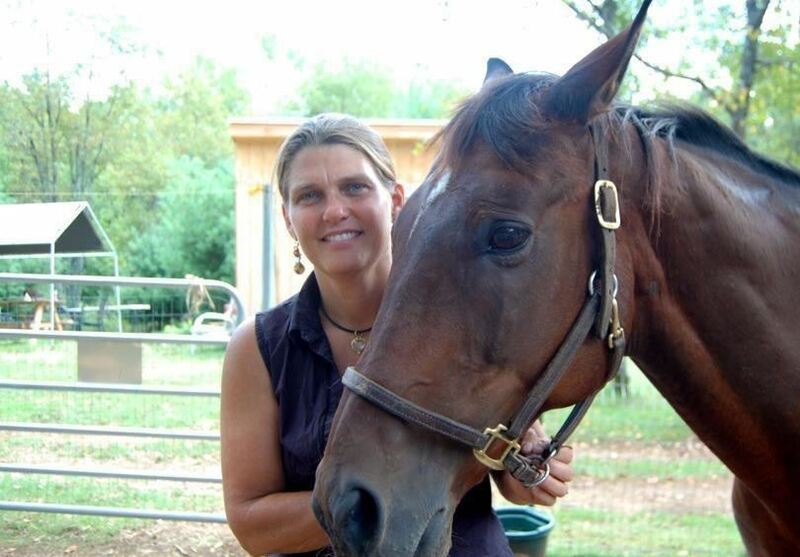 Paula is an experienced nature-base educator with roots in Montessori teaching. Her love of nature-based early childhood education blossomed as a lead teacher at the nature preschool at Irvine Nature Center, where she went on to launch their forest kindergarten program, Forest Dreamers. Her outreach extends to preschool children, teachers, and caregivers in Baltimore City through professional development that melds urban nature connection with ways to utilize and enhance outdoor learning environments. In addition, she is also a forest guide at River's Edge, a nature immersion program in West River, MD. Open lines of communication are essential to ensuring that families feel safe and excited about bring their children to your program. Staff need open communication to feel heard, appreciated and empowered to give their all. Children need our examples and, plenty of opportunities, to communicate their wants and needs, too. This webinar examines some of the unique aspects of communication in a nature-based program and offers several strategies to improve upon your structure. Yes, all the elements for meaningful learning are already right there in nature with no enhancement needed. 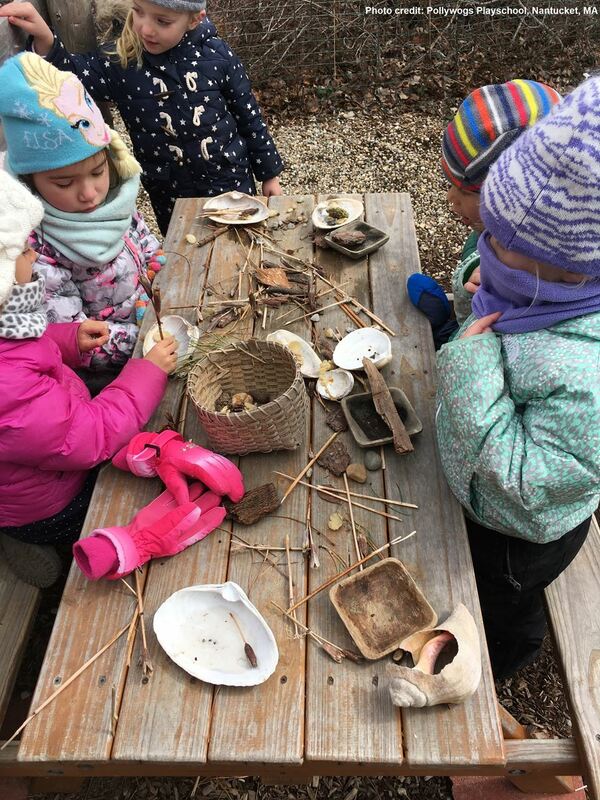 But if you want to facilitate skill development in specific ways, then loose parts, tools and props can supplement outdoor learning experiences. This webinar explores a plethora of materials, tools and props with corresponding activities and processes that you will want to try! There is a rich history of natural play spaces the world over. This webinar offers a survey of natural play spaces with a deeper look at substantial skill development linked with outdoor play. Research from academic sources will be offered throughout. 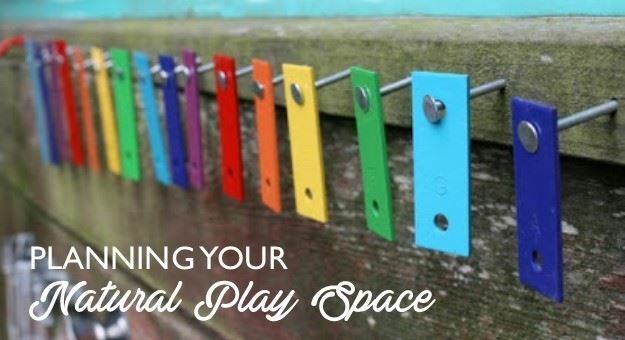 If you want to know more about the proven value of natural play spaces, or if you need more talking points for parents, fellow colleagues or grants, this is great place to begin. The water cycle is a time-honored topic that early childhood educators share with young children. But how? Another water cycle mobile? This webinar emphasizes how water brings the senses to life as young children discover the states of matter, aquatic habitats, and weather through experiential (wet!) outdoor play. Heading back to nature preschool? Join us for a webinar that will explore specific items you'll want to address with children, parents, and teachers. Brush up on policies, routines, and materials that will help everyone get back into the nature preschool groove! If you're establishing a new program, this webinar offers great insight about the basics.